The top stars of the tennis world are heading to Canada this summer, as Tennis Canada announced Wednesday the official player acceptance lists for the 2017 Rogers Cup presented by National Bank in Toronto and Montreal. Between both cities, 70 of the Top 75-ranked players will be competing for the prestigious Rogers Cup titles. World No. 1 Andy Murray and 10-time French Open champion Rafael Nadal headline the entry list in Montreal, where all of the Top 40 men will be in contention. In Toronto – in the 125th anniversary of the women’s tournament – 30 of the Top 35 women will be present, including world No. 1 Angelique Kerber, defending champion Simona Halep, and Roland Garros winner Jelena Ostapenko. Since 2004, Murray, Nadal, Novak Djokovic, and Roger Federer have held a near-monopoly on the Rogers Cup men’s title, with only the 2014 tournament (Jo-Wilfried Tsonga) won by another player. All five competitors will be back in Montreal this year to try and claim another Canadian championship, alongside players like world No. 3 Stan Wawrinka, and young guns Dominic Thiem and Alexander Zverev. Among the many other athletes set to play in Toronto this August are former champions Caroline Wozniacki (2010) and Petra Kvitova (2012), plus world No. 3 Karolina Pliskova, former world No. 1 Venus Williams, and rising stars Elina Svitolina and Kristina Mladenovic. Five Canadians have been confirmed so far for the main draw. Milos Raonic is the lone Canuck to earn a direct entry into the tournament thanks to his No. 6 world ranking. The 2013 Rogers Cup finalist, Raonic is the highest-ranked singles player in Canadian history and he will be a strong contender to go deep in the tournament once again. The men’s event has also awarded three wild cards to Felix Auger-Aliassime, Vasek Pospisil, and Denis Shapovalov. Pospisil, a former Rogers Cup semifinalist, is the country’s second-ranked male player at world No. 75. Eighteen-year-old Shapovalov, currently ranked No. 164, will be making his second appearance at Rogers Cup, after debuting last summer with a first-round win over Nick Kyrgios in Toronto, while Auger-Aliassime will be playing the main draw for the first time. The 16-year-old recently became the seventh-youngest player to win an ATP Challenger tournament. In Toronto, Canada’s top-ranked women’s singles player Eugenie Bouchard is the recipient of a wild card. Currently ranked world No. 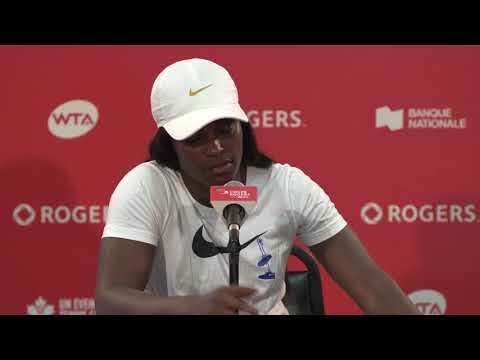 61, she will be making her seventh straight Rogers Cup main draw appearance and looking to best her performance from last year when she made the third round. She joins Maria Sharapova, who was previously announced as a wild card. The 56-player fields for both tournaments will be completed at a later date with the addition of the remaining wild cards and qualifiers. The exciting action on-court in Toronto and Montreal will be complemented by several enhancements around the grounds, including new dining offerings, musical performances, and special events. Both tournament sites feature a variety of activities, restaurants, performances, promotions, shopping, and more, providing a world-class sports and entertainment experience. 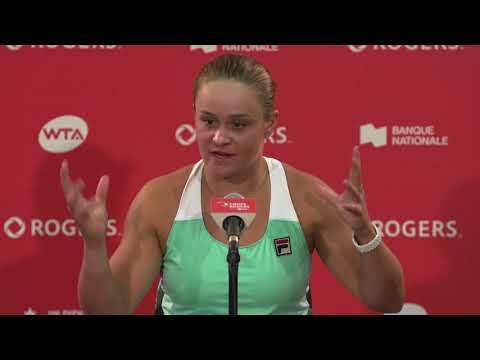 Rogers Cup presented by National Bank will welcome the best players of the ATP World Tour from August 4-13 at STADE IGA in Montreal and the top players of the WTA from August 5-13 at Aviva Centre in Toronto. Owned and operated by Tennis Canada, all profits from the tournaments are directed towards growing the sport of tennis across Canada.